A meta-analysis of trials comparing the health effects of red meat consumption with those of other diets found that substituting healthful plant protein for red meat helps lower the risk of cardiovascular disease. Eating plant proteins, such as tofu, may benefit cardiovascular health. Many studies throughout the years have linked the consumption of red meat to cardiovascular disease and cancer, but the results have been inconsistent. A recent study comparing the effects of plant protein and animal protein on the risk of cardiovascular disease found that the evidence was inconclusive. Recent studies further investigated the link between red meat consumption and heart disease and found that red meat does not significantly increase the risk of cardiovascular disease when a person sticks to the recommended intake. Most of these studies focused on the potential harms of red meat, but they did not include an analysis of other specific diets. This new approach allowed researchers to examine a different side of the issue. Red meat consumption remains a very controversial topic, especially in the U.S., where the consumption of red meat per capita was more than 200 pounds in 2018, according to the U.S. Department of Agriculture. Although red meat consumption in the U.S. is still high, chicken production and consumption have been increasing. The U.S. per capita beef consumption is down from its peak, but it is still remarkable — it is four times as high as the global average, according to the Organization for Economic Co-operation and Development. A recent survey showed that many people in the U.S. might be open to reducing their meat consumption in the future because they are becoming more aware of the associations that red meat has with nutritional and environmental health harms. The researchers suggested that education campaigns are necessary to accelerate the shift to a more sustainable diet. In this latest study, the researchers analyzed data from 36 randomized controlled trials, which included a total of 1,803 participants. The team looked at blood pressure and blood concentrations of cholesterol, triglycerides, and lipoproteins in people who ate diets with red meat. They then compared these values with those of people who ate more of other foods, such as chicken, fish, carbohydrates, legumes, soy, or nuts. Previous findings from randomized controlled trials evaluating the effects of red meat on cardiovascular disease risk factors have been inconsistent. The findings showed that there were no significant differences in total cholesterol, lipoproteins, or blood pressure between those who ate red meat and those who ate more of other types of food. However, diets high in red meat did cause an increase in triglyceride concentrations. Conversely, diets rich in high-quality plant protein lowered the levels of bad cholesterol. The authors recommend that people follow healthful vegetarian and Mediterranean-style diets that provide plenty of high-quality plant protein because they offer excellent health benefits and promote environmental sustainability. To learn more about your personal risk of developing the condition, talk with your doctor. Other genes could also increase risk of Alzheimer’s and early onset Alzheimer’s. Symptoms change according to the stage of the disease. 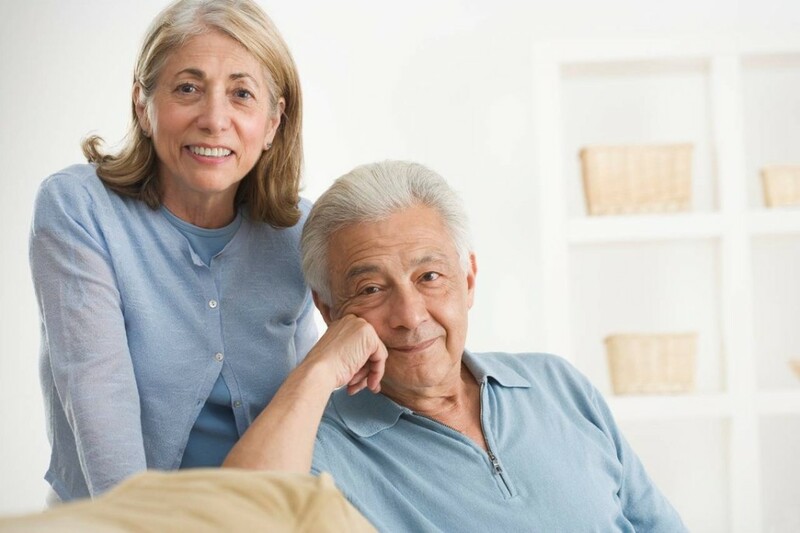 As a person progresses through these stages, they’ll need increasing support from a caregiver. Certain people are at greater risk of developing this condition. Other tests your doctor may do include blood tests to check for genes that may indicate you have a higher risk of Alzheimer’s disease. In addition to lifestyle changes, there are several alternative options you can ask your doctor about. Be sure to talk with your doctor before making any big changes in your lifestyle. If you choose to assume the role of caregiver, you may need to enlist the help of professional caregivers as well as family members to help. The CDC estimates that over 90 percent of people with Alzheimer’s don’t see any symptoms until they’re over 60 years old. Alzheimer’s is an expensive disease. According to the CDC, about $259 billion was spent on Alzheimer’s and dementia care costs in the United States in 2017. Some sweetened beverages can have more sugar than a 12-ounce can of Coca Cola. It’s not news that too much sugar isn’t good for you. Indeed, soda, candy, and sticky-sweet confections can take a toll on your waistline, not to mention your teeth.Now, the specific connection between diseases and sugary beverages, such as soda, sports drinks, and sweetened coffee beverages, is clearer. Earlier this month, the journal of the American Heart Association released findings that show people who drink sugar-sweetened beverages have an increased risk for cardiovascular disease and some cancers.No matter what drink you take, excessive consumption [of sugar] is a problem. High overall sugar intake from any drink like coffee with sugar or juices can lead to problems. Higher consumption of sugar leads to increased incidence of weight gain and diabetes, which in turn leads to increased risk for heart attacks and strokes.This study joins previous research that points to the relationship between a high-sugar diet and negative heart health outcomes.However, in this one, the authors controlled for other dietary factors, physical activity, and body mass index, items that could be independently linked with sugar-sweetened beverages.The results still pointed to the damaging effects sugary beverages may have, regardless of other possible cardiovascular risk factors. A secondary finding of the Circulation study suggests people who replace one sugary drink per day with an artificially-sweetened drink (such as a diet soda) have a slightly lower risk of death.However, if a woman drinks four or more artificially-sweetened drinks per day, she has a higher risk of death.Low-calorie drinks, while containing less sugar, also carry an increased risk. What beverages are not OK? 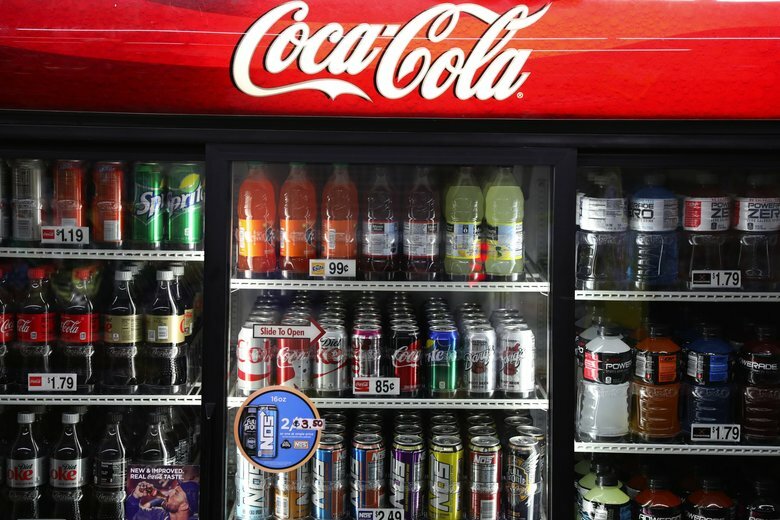 Soda is the poster star of sugar problems, but Americans are actually drinking fewer sugary drinks like soda today than any time in the past decade. Yet, 1 in 10 people still get more than a quarter of their daily calories from sugar. That’s not all coming from soda. A 12-ounce can of Coca-Cola Classic has 39 grams of sugar. You may be unlikely to reach for the syrupy soda after a workout, but the Gatorade you down on your way out the door has 34 grams. Feeling a little sluggish in the afternoon? Instead of a 20-ounce bottle of Pepsi (69 grams), you may take a quick jaunt down to Starbucks for a Grande Mocha Frappuccino (skim milk and no whip, please), which has —are you ready? —59 grams of sugar. Even the extra 500 steps won’t burn off that sugar crush. Are you stocking sugary “smoothies” in your fridge, sipping them on your commute to the office, as a way to get more fruit into your diet? A 15.2-ounce bottle promises apples, bananas, blueberries, and blackberries — all while delivering 55 grams of sugar. Does fruit provide a bit of a health halo for that much sugar? More than 60 different names for sugar could be listed on an ingredient label. Fruit juice concentrate seems natural, but it’s a form of sugar. Brown rice syrup? That’s sugar. Beets are healthy, so what about beet sugar? Still sugar. If, however, you’re not keen to memorize five dozen random words, keep this rule in mind: water is best. Drinking water in place of sugary drinks is a healthy choice that could contribute to longevity. Diet soda may be used to help frequent consumers of sugary drinks cut back their consumption, but water is the best and healthiest choice. To get your daily sugar consumption down, it’s important to understand what you’re actually eating in a day. A food diary can help. Whether you record your food in a smartphone app or hand-write everything in a notebook, jotting down what you typically eat for several weeks will give you an idea of what you’re taking in and how much, if any, you need to cut to reach recommended guidelines.Per the American Heart Association, men should consume no more than nine teaspoons or 36 grams of added sugar a day, and women no more than six teaspoons or 25 grams of added sugar per day. To put this in perspective, one 12-ounce can of regular soda has eight teaspoons of sugar. From there, the process of cutting back begins. Ask what you can reasonably get rid of. If cravings occur… you can look toward fresh fruit like berries or apples. If cola is your big thing, start there, and try a cold turkey approach, not replacing a regular soda with a diet option.It’s not an easy task. Research shows sugar has qualities that may cause an addiction, and your body will call out for it. Part of your goals must involve support from family and friends and an environment in which sugar is not easily accessible. If this is too tough to do, then consider simply slashing all foods from your diet that have more than four grams of added sugar per serving.New regulations from the Food and Drug Administration require food manufacturers to list added sugar on food labels, beginning in 2020. This will make identifying surprising sources of sugar easier. In the United States, it is the most common cancer in men, but it is also treatable if found in the early stages. Non-surgical options, too, can severely inhibit a man’s reproductive capacity. The prostate is a walnut-sized exocrine gland. This means that it’s fluids and secretions are intended for use outside of the body. 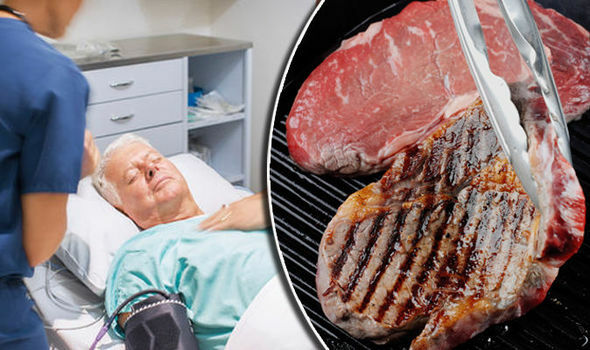 Studies have suggested that a diet high in red meat or high-fat dairy products may increase a person’s chances of developing prostate cancer, but the link is neither confirmed nor clear. New evidence supports the current recommendation for people with type 2 diabetes to eat nuts to prevent cardiovascular issues and premature death. 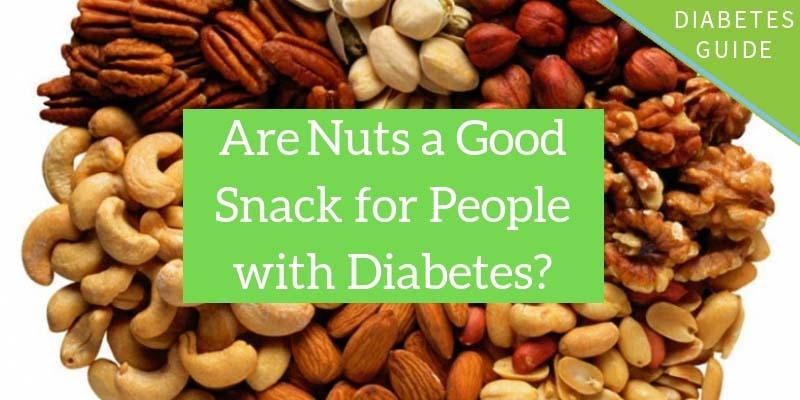 People with diabetes may benefit from eating nuts. Nuts are packed full of essential nutrients that could benefit overall health. They contain high levels of unsaturated fatty acids, fiber, vitamin E, folate, and minerals, including potassium, calcium, and magnesium. The latest research has shown that nut consumption may help reduce the risk of chronic disease. A recent study, which featured in the Journal of the American College of Cardiology, identified an association between eating nuts and a lower risk of cardiovascular disease. Type 2 diabetes is a chronic condition that affects the way in which the body metabolizes glucose, which is its primary source of fuel. Possible complications include kidney damage and cardiovascular disease. According to the American Diabetes Association, in 2015, more than 30 million people in the United States had diabetes. In the same year, diabetes was the seventh leading cause of death in the U.S., with over 250,000 death certificates listing it as an underlying or contributing cause of death. Every year, doctors diagnose 1.5 million cases of diabetes in the U.S.
Over the years, several studies have linked nut consumption to the prevention of coronary heart disease. In 2010, researchers noted that the results of these studies justified exploring the use of nuts in managing the symptoms and complications of diabetes. A new study, which the American Heart Association journal Circulation Research has published, found additional evidence that supports the recommendation of incorporating nuts into a balanced diet to reduce the risk of heart disease in people with diabetes. In this latest study, researchers used self-reported diet questionnaires about nut consumption. Close to 16,000 adults participated, and they filled out the questionnaires before and after they received a diagnosis of type 2 diabetes. The researchers found that all types of nut offered health benefits, especially tree nuts. As the name suggests, tree nuts, which include almonds and walnuts, grow on trees, while groundnuts, such as peanuts, grow underground. Tree nuts may offer more benefits because they contain higher amounts of nutrients in comparison with groundnuts. Their analysis showed that people with type 2 diabetes who ate five servings of nuts per week had a 17-percent reduced risk of cardiovascular disease and a 34-percent lower risk of death relating to this condition. Those who consumed more nuts after their diabetes diagnosis had an 11-percent lower risk of cardiovascular disease and a 25-percent reduced risk of death related to heart disease compared with people who did not increase their intake of nuts. “Our findings provide new evidence that supports the recommendation of including nuts in [healthful] dietary patterns for the prevention of cardiovascular disease complications and premature deaths among individuals with diabetes. The team of researchers found that eating even a small number of nuts made a significant difference. Each additional serving per week of nuts led to a 3-percent reduction in the risk of cardiovascular disease and a 6-percent lower risk of death due to heart disease. Although the specific effects of nuts on heart health are not clear, findings suggest that the nutrients in nuts may improve blood pressure, blood sugar control, and inflammation as well as enhancing the metabolism of fats and promoting blood vessel wall function. “Cardiovascular disease is the leading cause of death and a major cause of heart attacks, strokes, and disability for people living with type 2 diabetes. Efforts to understand the link between the two conditions are important to prevent cardiovascular complications of type 2 diabetes and help people make informed choices about their health. The typical pregnancy has three trimesters and lasts around 40 weeks from the first day of a woman’s last period. In each trimester, the fetus will meet specific developmental milestones. While 40 weeks is the usual time frame, a full-term baby can be born as early as 37 weeks and as late as 42 weeks. Read on for more information about what to expect during each pregnancy trimester. The first trimester lasts for the first 12 weeks of the pregnancy and is crucial for the baby’s development. At conception, the egg and sperm combine to form a zygote, which will implant in the uterine wall. The zygote becomes an embryo as the cells divide and grow. All of the major organs and structures begin to form. At 4–5 weeks, the embryo is only 0.04 inches long but will grow to around 3 inches long by the end of the first trimester. The embryo is now looking a lot more like a human baby. The fetus’s heart will start beating by the eighth week. The eyelids remain closed to protect its eyes. The fetus can also make a fist at this stage. Also, external genitalia will have formed and may be visible during an ultrasound, meaning that a doctor can tell someone whether the fetus is male or female. A woman will experience many changes during the first trimester, too. Many women will start to feel morning sickness, or nausea and vomiting due to pregnancy, at 6–8 weeks. Despite its name, this nausea does not just occur in the morning. Some pregnant women get sick at night, while others are sick all day. A pregnant woman might also feel very tired and notice that she is more emotional than usual due to hormonal changes. Many also report experiencing food cravings or aversions during early pregnancy, alongside a stronger sense of smell. Breast tenderness is also very common. The second trimester lasts between week 13 and 26 of pregnancy. The fetus will go through a lot of changes during this time and grow from approximately 4–5 inches long to around 12 inches long. During the second trimester, the fetus will also go from weighing about 3 ounces to weighing 1 pound (lb) or more. If the fetus is male, the testes begin to drop into the scrotum. If the fetus is female, the ovaries begin to form eggs. The fetus now has regular sleeping and waking patterns. They can also hear sounds from outside the womb, and they will begin to practice swallowing, which is an important skill after delivery. The woman will also likely begin to feel better. In most cases, morning sickness and fatigue start to go away at the beginning of the second trimester. Food cravings and aversions can continue, however. Braxton–Hicks contractions may start toward the end of the second trimester. During the third trimester, a growing fetus will move more regularly. 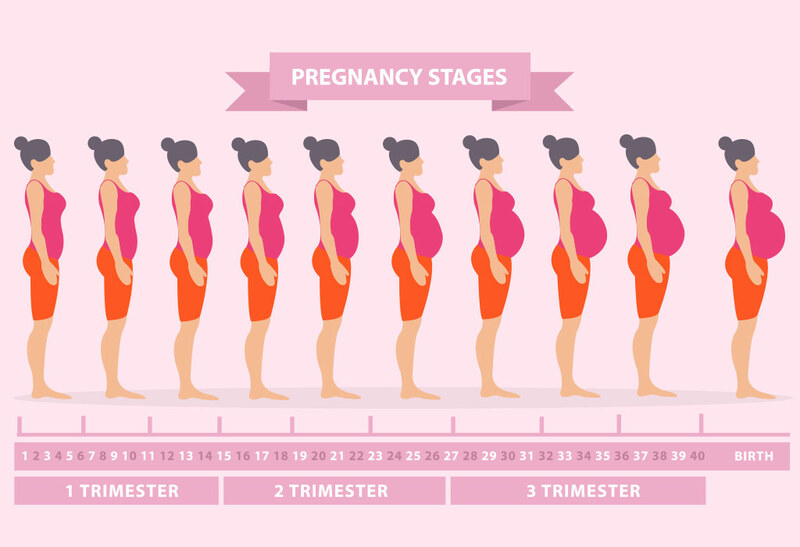 The third trimester lasts from week 27 until delivery, which is usually around week 40. During this trimester, a developing baby will grow from around 12 inches long and 1.5 lbs in weight to about 18–20 inches long and 7–8 lbs in weight. Most of the organs and body systems have formed by now, but they will continue to grow and mature during the third trimester. The fetus’s lungs are not fully formed at the beginning of this trimester, but they will be by the time of delivery. A growing baby will start practicing breathing motions to help prepare for life after birth. Kicks and rolls become stronger, and a pregnant woman should feel the baby move regularly. A pregnant woman may also begin to feel uncomfortable during this trimester, as her belly starts to grow. Most women start to feel Braxton–Hicks contractions getting stronger, and they may have back pain from carrying a heavy belly. As the woman gets closer to the delivery, the baby should turn in to a head-down position to make birth easier. Anxiety about delivery and parenthood are also common toward the end of pregnancy. Many people unofficially call the baby’s first 3 months of life the fourth trimester, or the time when the baby adjusts to life outside the womb. Human babies are born very immature compared with most other mammals. Many baby mammals can stand up and walk within hours of birth. Human babies have large brains, so they must be born at 9 months’ gestation. If the birth occurred any later, it would be very dangerous because their heads might not be able to pass through a woman’s pelvis safely. Since they are still very immature, newborn babies need constant care during their first few months of life. The fourth trimester can be challenging for new parents. It is vital to rest as much as possible. To make this time a little easier, try to accept help from family and friends. This help may be in the form of meals, babysitting older siblings, and cleaning or laundry as needed. A woman will experience lochia, or bleeding and vaginal discharge, that continues for 4–6 weeks after birth. Her breasts may be sore and leak as she adjusts to breastfeeding. Many women experience mood swings, or “baby blues,” after birth. This is usually due to the fluctuation in hormones. Some women may experience postpartum depression after childbirth. This includes feelings of intense sadness, fatigue, anxiety, and hopelessness that can affect her ability to care for herself and the baby. Postpartum depression is treatable, so anyone experiencing these symptoms should speak to a doctor as soon as possible. Pregnancy, childbirth, and the first few months with a newborn are unlike any other time in life. They are full of new experiences, great uncertainty, and many new emotions. Getting regular prenatal care is vital during each trimester. A doctor can help ensure the growing baby is meeting their developmental milestones, and that the woman is in good health.